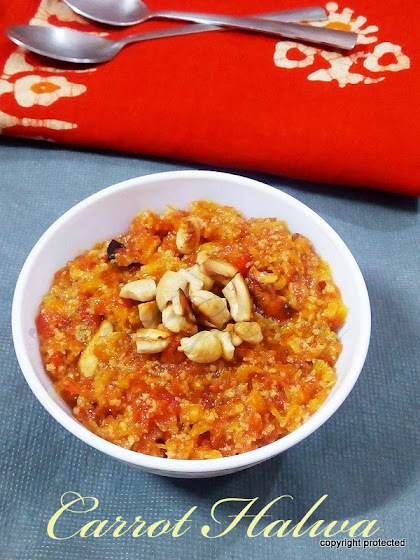 Carrot halwa or gajar ka halwa - a classic Indian dessert and one of the most popular halwa recipes. 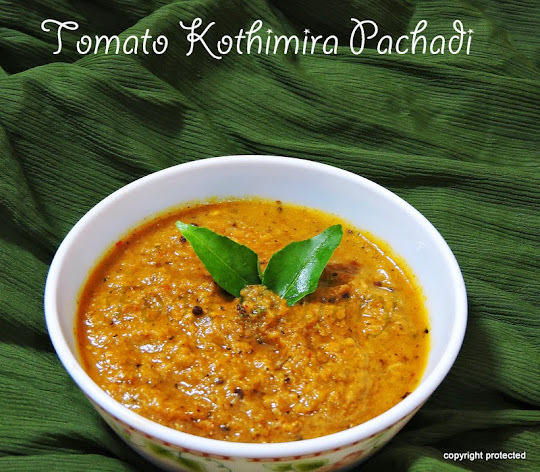 It is prepared with simple ingredients like grated carrot, milk, sugar and ghee, but the aroma and taste are awesome. It is prepared on most of the festive occasions, especially Diwali, and even in weddings. It can be served both warm or chilled. There are different ways of making this halwa -- using milkmaid or khoya, microwave or just with milk. I am giving the milk version here. Though this version is a bit time-consuming compared to the others, it gives the best taste. Wash the carrots, peel the skin and grate them finely. Heat 1 tbsp of ghee in a pan and fry the cashews until golden brown and remove from pan. Break 4-5 cashews into half each and keep aside. In the same pan, add the grated carrot and fry on medium flame till it shrinks in volume. Add milk and cook for about 7-8 minutes or until the carrot becomes soft. Once the milk dries up, add sugar and the remaining ghee, mix well and continue to cook until the mixture becomes thick. Add the whole cashews and cardamom powder and mix well and cook for another minute and remove from fire. Garnish with the broken cashew nuts. Delicious carrot halwa is now ready to serve. Hi, I am new here in your blog. You have such a lovely blog and awesome recipes.. Halwa looks superb.. I have not yet made Halwa with carrot.. I will make it one day.. Love to follow you. If you don't mind, pls. visit my space too.. It's www.seenasfoodbasket.com .